Dattaji Sindhia was the second son of Ranoji Sindhia and Minabai alias Nimbabai . Minabai gave birth to three sons of Ranoji , Jayappa, Dattaji, Tukoji .Jayappa was the eldest among the three and Tukoji, the youngest .Dattaji Sindhia distinguished himself in the campaign of the Doab(Safdarjung-Pathan war) of 1751 for the first time .Dattaji was a first-rate soldier in courage and enterprise, though lacking in sagacity and diplomatic tact. Peshwa aptly characterized Dattaji in a letter of 30 Aug. 1755, "Dattaba's nature is that of a [mere ] soldier; hence he presses violently on at the wrong time and place." Dattaji was the ablest general in those times .He was young , daring and a loyal soldier of Peshwa . This is evident from Raghunathrao’s letter to Peshwa dated 16th February 1757 “Abdali is strong it requires very great resources to chastise him. Send Dattaji Sindhia quickly to me from the Deccan” . After the assassination of Jayappa Sindhia on 25th July, 1755 in Nagore during the Marwar campaign Dattaji became the head of the Sindhia family and guardian of young Jankoji , the son of Jayappa . Jankoji was proclaimed as the new chief and the legal successor of Jayapa and all official letters were issued in his name and under his seal, and the writers of the time used the word Jankoji where Dattaji was the person really concerned. After this unfortunate assassination ,Dattaji and Jankoji rose to the occasion and conducted the war all the more vigorously, having received speedy reinforcements from the various Maratha captains who were on duty at different places. Antaji Mankeshwar immediately started from Bundlekhand and successfully prevented Madho Singh of Jaipur and other Rajput parties from reaching Nagore for Bijay Singh's succour . Bijay Singh was soon brought to his knees mainly by the Sindhian arms, although he tried to organize a formidable coalition of northern powers, including the Emperor, his Wazir, Najib-ud-daula, the Rohilla, Pathans and others, in order to put down the Marathas . By the end of the year Bijay Singh's position became so untenable that submission to Sindia's mercy was his only way of escape. He paid Dattaji a personal visit in January 1756 and agreed to the terms that were imposed. Bijay Singh agreed to pay a fine of 50 lacs, ceded Ajmer and Jalore, and gave his cousin Ram Singh a half share of his kingdom. Dattaji kept possession of Ajmer and had it strongly garrisoned for defence. [The provinces of Agra and Ajmer were handed over to Peshwa by the Mughals in 1752] . He gave away Jalore to Ram Singh . After ending this Marwar campaign Dattaji returned (June-1756) to his own fief of Ujjain and then proceeded to Pune . Here in Pune Dattaji and Jankoji Sindhia trained Viswasrao , the eldest son of Peshwa and participated in the Sindakhed campaign of 1757 against the Nizams . After Raghunathrao and Malharrao extended Maratha rule to Lahore , Peshwa dispatched his most daring soldier to carry on the further affairs of North Hindustan after settling the affairs with Nizam .Dattaji married Bhagirathibai in March 1758 and left Pune in May .Dattaji reached Delhi towards the end of 1758 . The Sindhia chief was assigned the duty of 1.) reducing the burdens of Maratha treasury 2.) Settling the affairs of Delhi 3.) Managing the Maratha control over Panjab 4.) to Crush Najib Khan , 5. )to take Benares, Ayodhya and Allahabad from Shuja-ud-daula 6. 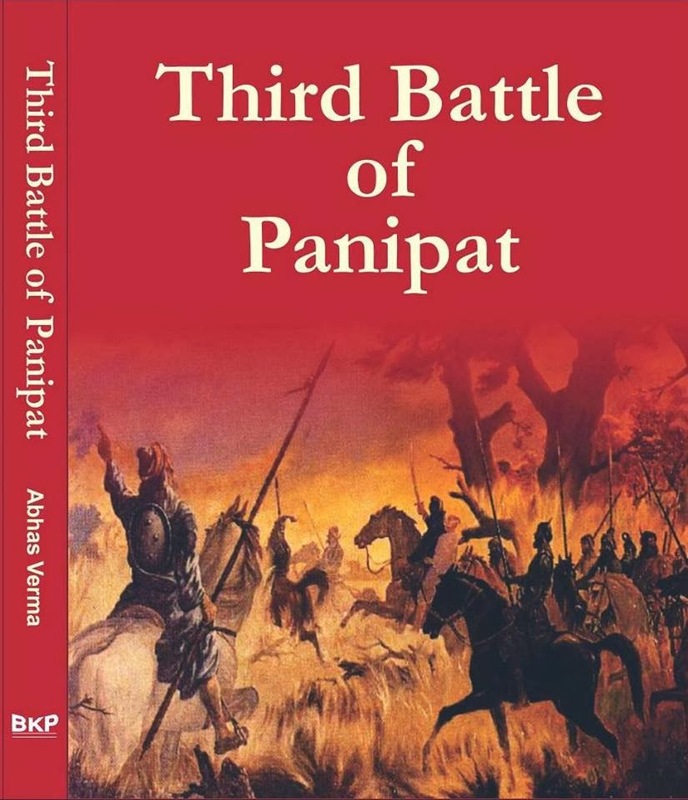 )to lead an expedition into Bihar and Bengal , and occupy Patna immediately .Dattaji somehow managed the affairs of Delhi and entrusted the management of Punjab into the hands of Sabaji Sindhia( a Sindhian kinsman) . Dattaji then turned eastwards to take on Najib Khan and then lead the campaign in Bihar and Bengal . But Dattaji somehow fell into the trap of Najib Khan and he tried to utilise the services of this treacherous Rohilla chief Najib Khan for crossing the Ganges and proceeding further to Bihar. Dattaji waited for the construction of the bridge and spent his time for performing his religious ceremonies and holy dip in the Ganges at Garhmukteshwar . Towards the end of June the monsoon arrived, the river rose in floods and Najib Khan urged that the operations of the bridge could not be pushed on. Dattaji saw through Najib's game clearly and began counter measures to defeat it. Najib Khan had taken shelter in Shukartal , Dattaji continued the siege of Shukartal till 15th December 1759 . Dattaji could not continue his enterprise because he received more alarming news from the west about the fifth invasion of Abdali . Sabaji Sindhia escaped from Punjab to join the Sindhian camp at Shukartal. Dattaji decided to prevent Abdali from reaching Delhi and he turned towards Karnal on 24th December a battle was fought between the Sindhian army and the Afghans at Taraori (south-east of Thaneshwar) . Where Dattaji received a setback and the Afghan army crossed the river Jamuna and entered the Doab . Soon after Abdali crossed the river Najib came out of his hiding place to join his Patron .Dattaji quickly rushed to Delhi and encamped in the vicinity of Majnu's hillock, two miles to the north of Delhi and posted his men to guard the fords along the river Jamuna. Meanwhile Hafiz Rahmat Khan, Dundi Khan, Mulla Sardar, Sadullah Khan and other Rohillas chieftains of Rohilkhand joined Abdali. In the morning of 10th January 1760 , the Rohillas of Najib Khan attempt a crossing at Barari-ghat . Sabaji Sindhia who was guarding the ghat resisted the enemies with his few men, after reporting the attack. Dattaji rushed from his camp on a horse to prevent this intrusion darting his spear at the enemies . But the Rohilla snipers hidden in the bushes were waiting for this opportunity , they shot down Dattaji with a bullet shot. The Bhaubakhar describes his death as when Dattaji fell off his horse with a bullet wound and was lying there on the battle field . Raghoba Pagnis said to Rajaram Chopdar, “ Do you go up to Qutubshah and say to him that Dattaji Shinde lies wounded on the field and that he should take him off the field .”Rajaram Chopdar saw Qutb Shah on his elephant and having known him for long, saluted him said in the Muslim tongue, "Saheb, our Patil has fallen, please save him." Qutb Shah asked him to take him there. Upon reaching Dattaji he asked him, “Will you fight us again”. To Which he replied bravely “Bachenge to aur bhi ladenge .” Enraged, Qutb Shah unsheathed his sword, kicked Dattaji over, and beheaded him, despite Rajaram's pleas . Dattaji’s body was cremated by Rajaram Chopdar. the ebook in it or something. I believe that you could do with a few p.c. So sad to hear that such a gem general who was so good at warfare was lost in such a poor manner... I guess the Peshwas lacked the understanding of sending someone with a cool head with the Schindhia.... I am sure had he not been killed in this fashion and had he survived till the main battle of Panipat with Bhau.... The Afgans then would have got their pants caught down.... Salute to such a brave, patriotic, loyal and a defiant man of principle.... Jai Maharashtra!!!! Thats correct. Peshwa has ordered Malhar rao holkar to help Dattaji, but they were on other side of India and thus got delayed to reach out. On the other hand, Najib and Abdali was over few kilometers to aquire Delhi. Thus, Dattaji left with no option to jump into war with JankoJi and his 7 thousand soldiers. How do you know?u were there is it? for that you have to go through my book. Ya for that you have to go through my book. Please post the role of Hingane family in panipat..